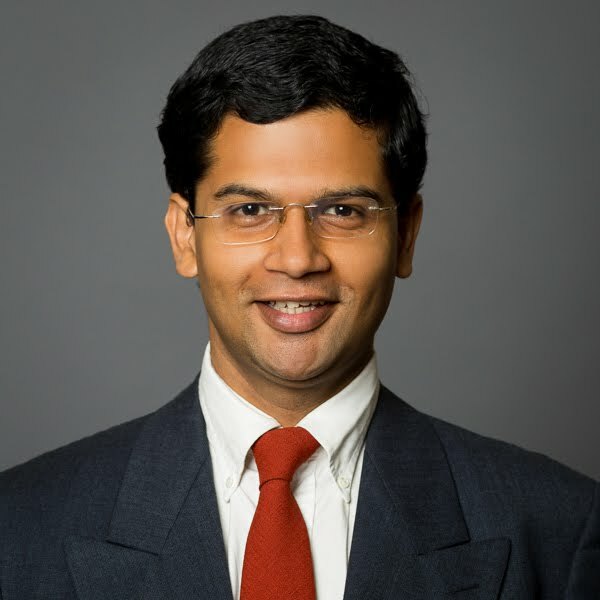 Ayan Bhattacharya is Assistant Professor of Finance at The City University of New York, Baruch College. He has a PhD from Cornell University and his research focus is financial economics, especially financial market design and asset pricing. It is the election season in India – with all its pomp and boast – and in the US, too, candidates have begun to prime their pitch for the primary season. Millions of people will cast their individual ballots – their personal opinions on the state of affairs – and the magic of democracy will bring forth a collective will sewed from these individual choices. To an economist, elections are an example of the beauty of social choice in action. But then, so are markets! The price of any commodity, say the phone that we carry so nonchalantly in our pockets, represent the opinions of countless bidders and sellers strewn all over the supply chain – from the glass and metal manufacturers in dozens of countries, to the labor contractors that employ tens of thousands of people, to the early adopters and critics that have the power to make or break a new model. At each level of the food chain there is a bargain, and a bargain is the expression of an opinion. Markets, much like democracies, somehow collect all these scattered and discordant opinions and bind them together into a simple aggregate – the sticker price that we pay for the phone. To marvel at modern markets – or modern democracies – is to marvel at the power of social choice. Yet, surprisingly, once one burrows down to the foundation of social choice, one finds a landscape full of paradoxes and impossibilities. Things will quickly turn grim, so let us start our journey on a positive note with a positive result. In the middle of the last century, Kenneth May was a firebrand mathematician flitting from institution to institution – his political views had a way of putting him out of favor with authorities quickly. Today, May is best known among mathematicians for his research on the history of mathematics. To a political scientist, however, May will always be synonymous with a theorem that bears his name. In a paper published in Econometrica in 1952, May proved that in any voting system where voters had two alternatives, and all votes were treated equal, a simple majority voting was the optimal way to elicit public opinion – the conclusion known as May’s theorem ever since. This was an impressive result. A simple majority, which is how most people think of democratic opinion, was indeed the best expression of collective will according to this theorem. The catch, however, lay in the simplifying assumptions. Elections are rarely about just two alternatives. 8251 candidates contested the polls for 543 Lok Sabha seats in India in 2014, an average of 15 candidates per seat. In a remarkable set of articles in the late 1940s and early 1950s, a young PhD student, Kenneth Arrow, demonstrated the basic paradox in systems like majority voting for multiple alternatives. Arrow was soon to become a towering figure of 20th century economic theory – and part of the reason for his legend were these early results in voting theory that opened up entire new areas of economics. The famous Arrow Impossibility Theorem, as these results are now called, tells us that every voting rule for three or more candidates is either collectively irrational, or is a dictatorship in which the election outcome is determined by the choice of a single designated selector. In other words, the options are stark: either a dictatorship, or a system where collective behavior violates the commonsense norms of rationality. Collectively irrationality, in this case, takes the form of what is popularly called “independence of irrelevant alternatives”. Inspired by the work of Arrow, in the middle of the last century, Amartya Sen, along with a number of other pioneering economists clarified the meaning of this form irrationality. Suppose you prefer vanilla ice-cream when the choice is among vanilla, chocolate, strawberry and mango. Normally, one would expect that you would continue to prefer vanilla if the choice were among just vanilla, chocolate and strawberry. In other words, your selection should be independent of alternatives that do not affect your choice directly. Roughly, this is what independence of irrelevant alternatives requires. What Arrow showed was that almost all voting procedures violated this basic axiom at the collective level. To make things concrete, suppose there were four candidates for a poll: Ram, Hari, Asha and Lata. If all the four candidates were to stand for the election, Ram would be the clear winner. However, if Lata were to somehow withdraw from the fray, the impossibility result says that Hari might beat Ram and Asha. If Ram, Hari, Asha and Lata were the ice-cream flavors mentioned earlier, this would be like saying that vanilla is your clear favorite when all the four flavors are available; however, when mango is no longer on the menu, you suddenly like chocolate more than vanilla and strawberry! In fact, many hints of such collective irrationality in voting procedures are available in the classical works of political philosophers. Marie Jean Antoine Nicolas de Caritat, popularly known as the Marquis of Condorcet, was one of the leading figures of the French enlightenment in the late 1700s. Around 1785, he showed that collective preference suffers from a fundamental irrationality: the existence of majority cycles. So, a majority of voters might prefer some alternative A to B, a (different) majority might prefer B to C, while a third majority might prefer C to A! Condorcet’s own life saw many seemingly irrational twists and turns. He was deeply involved in the French revolution and was a key voice of moderation and reason in the frenzy that swept France in the aftermath of the revolution. In the end though, it was moderation and reason that cost him his life – as the French revolution devolved into retribution by mobs, he died escaping a rival group. A parable perhaps for the fact that one may stir a crowd through reason, but that reason may not be sufficient when the crowd becomes a mob. The fundamental paradoxes of voting systems are brought out most starkly in another set of famous results called Gibbard-Satterthwaite theorem. Gibbard’s main line of research is in philosophy and ethics, while Satterthwaite’s principal contributions are in market mechanisms, but in the early 1970s, both of them arrived at the same disconcerting conclusion. In all voting systems, they asserted, people have an incentive to vote tactically to defend their opinions. In other words, people do not vote sincerely when casting their ballot; their votes are manipulable. Indian political parties seem to have a fantastic intuitive grasp of this theorem – all the talk about tactically transferring captive voter bases from one party to another is really an application of this theorem. What is important, however, is that this theorem shows that such insidious practices are not an inherent part of human nature – they are an artifact of the voting systems. A dictatorship suffers from no such issues! Just like voting systems, markets bring out the collective opinion of participants. And just like voting systems, markets suffer from paradoxes and impossibilities. In the early 1980s, economists Sandy Grossman and Joe Stiglitz demonstrated a fundamental contradiction at the root of the market system: a market cannot simultaneously be well-informed and well-functioning. Any trade gives away information. In any well-functioning market system, this means that the passive market participants instantaneously learn an active informed trader’s information through leakage without expending any effort of their own. Thus, there is no way for an active informed trader to get compensated for information gathering in such a market. Which, in turn, implies that no market participant can have an incentive to be an active information-gatherer! At around the same time, Paul Milgrom and Nancy Stokey, both professors at Northwestern University at the time, demonstrated another fundamental impossibility in market systems: there could be no trade in an idealized financial market. The basic idea was simple. Any trade must be preceded by a revelation of the intention to trade. But disclosing even the intention to trade reveals some information. And it is this information that made trading impossible in idealized markets. The Grossman Stiglitz and Milgrom Stokey results were just the tip of the iceberg; the literature on financial markets is littered with such impossibilities and paradoxes. A tantalizing question for researchers in the field is the deeper connection between market systems and voting systems. Both market and voting systems embody the collective will of its participants. But how far can one push the analogy? The parallel paradoxes and impossibilities in the two areas seem to suggest that there are fundamental links that we don’t yet fully understand. Increasingly, computer scientists, too, are getting drawn to the mix. The biggest trading platforms nowadays – the Amazons and Flipkarts of the world – are run by computer scientists more than economists. Voting, too, is gradually becoming more algorithmic. In a certain sense, platforms like Facebook – with their likes and dislikes – are just giant voting machines. How does algorithmic intermediation change the fundamental questions of voting and markets? Do they enhance the interconnections between these two collective choice systems? These are exciting, open questions that new generations of researchers in economics, finance and computer science are currently grappling with. For ordinary citizens in democracies, however, elections are about much more than such questions. For a few months every few years, we get elevated from irrelevant nobodies to pampered children – big leaders listen to us eagerly and shower us with goodies for no good reason! Much like what happens on birthdays. In a very real sense, elections are the collective birthday of ordinary citizens, and we are lucky to get to celebrate it. Even well-planned birthday parties rarely turn out to be perfect. Nevertheless, just like elections, they foster a sense of community and well-being, despite all the hiccups.